We are excited to announce our first ever Live on the Lot with Brett Young! This free concert will be on Wednesday April 18th at Noon till 3:00PM. Brett Young will be performing live and will be doing an autograph signing for attendees! Come by and grab some lunch, on us! Make sure to get here early to save your front row spot and get your autograph ticket! 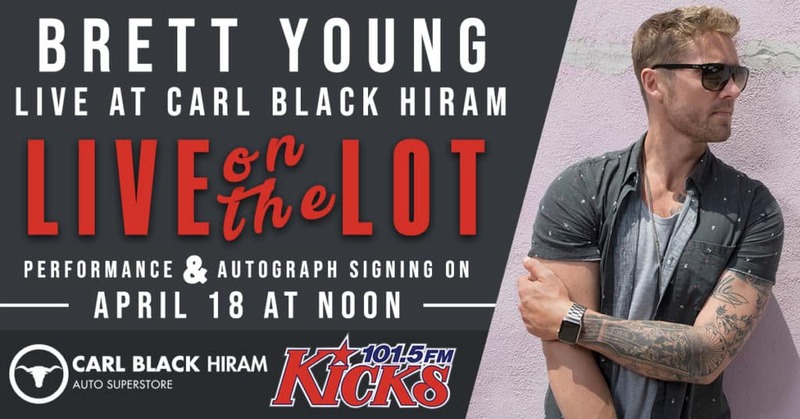 Attendees that get their photo with Brett Young will be able to see and download their photo on our Carl Black Hiram Facebook page. Photos will be posted a few days after the event! Parking will be available in the gravel lot directly next to the main building. Hiram’s Police Department will be on site to direct you into the parking lot. A Brett Young autographed guitar will be given away to one lucky winner that attends the Live on the Lot and signs up on the kiosks! Be sure to say that you are attending the event on Facebook! Unknown to most people, Young used to be a college baseball player until he had an elbow injury. Brett played pitcher for California State University in Fresno. After having to face the reality that Young’s future was not going to lie in baseball anymore he decided to look for different options. Motivated and inspired by Gavin DeGraw‘s songwriting, he put his energy into country music and it certainly has paid off. 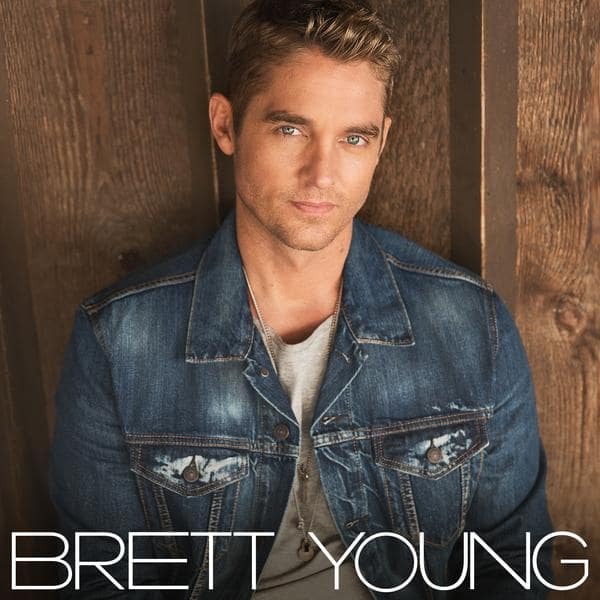 Since then, Brett Young has exploded in the country music industry with his studio debut album, released on February 10th 2017, called Brett Young. Two of the nominations being for his single “In Case You Didn’t Know”. We are excited for you to come out and have a good time listening to Brett’s Live on the Lot! Be sure to get to CarlBlack Hiram early so that you can secure your autograph ticket and check out our incredible selection of used cars, trucks, and SUVs. Also make sure to get a chance at winning a Brett Young autographed guitar!